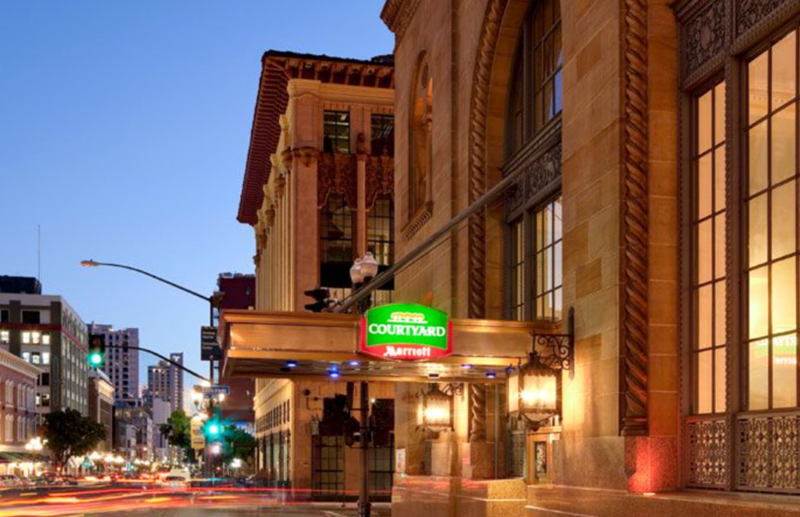 With the help of TynanGroup Project Management, the historic Savings & Trust Building of San Diego was renovated into a boutique-style Courtyard hotel by Marriott. Featuring original bank vaults as meeting rooms and bank teller cages as the registration desk, the adaptive renovation maintained many of the original historic aspects of the building. The hotel contains 247 guestrooms, meeting spaces, a 120-seat restaurant, spa and fitness center. It is currently listed on the National Register of Historic Places.